We would like to extend a very warm welcome to you from ETL Podiatry in Melville, Long Island and Flushing/Briarwood, Queens. 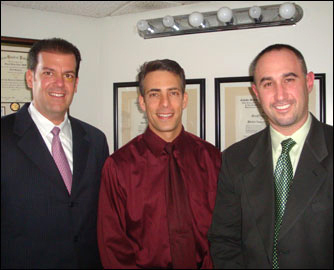 At our practice you will find a positive and friendly staff ready to serve you in all of your podiatric needs. Whether you have been suffering from foot or ankle issues for a long time or if you have a new injury that is causing you pain, we can ensure you comfort and satisfaction. Here at ETL Podiatry, we believe informed patients are better prepared to make decisions about their health and well-being; therefore, we encourage you to stop by, meet us, and see the office so that you feel better informed about both our practice and our treatments. In addition, feel free to browse our website to get to know us and learn more about our staff and comprehensive services. You’ll find a great deal of worthwhile information on the rest of our website in regards to foot health, treatments, problems and diagnoses.